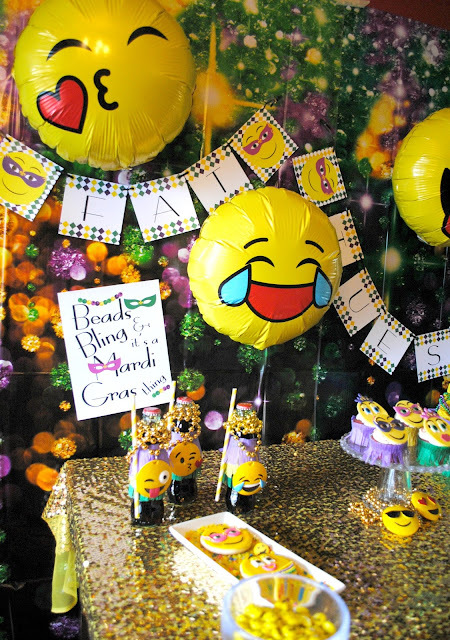 Let the Good Times Roll at this emojinal Mardi Gras party! 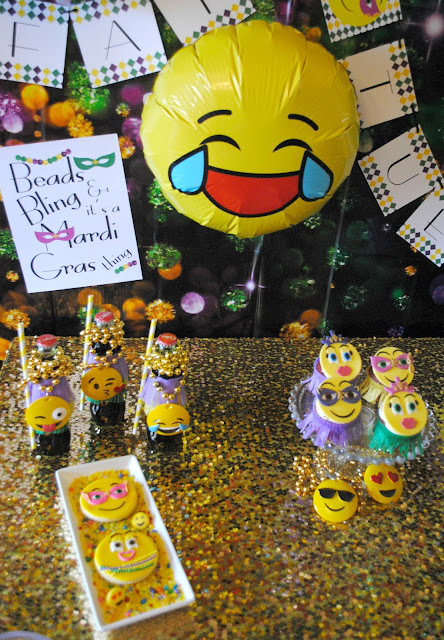 When I told Bella Grey Designs about my emoji Mardi Gras party idea she loved it and was excited to create this invitation for me. 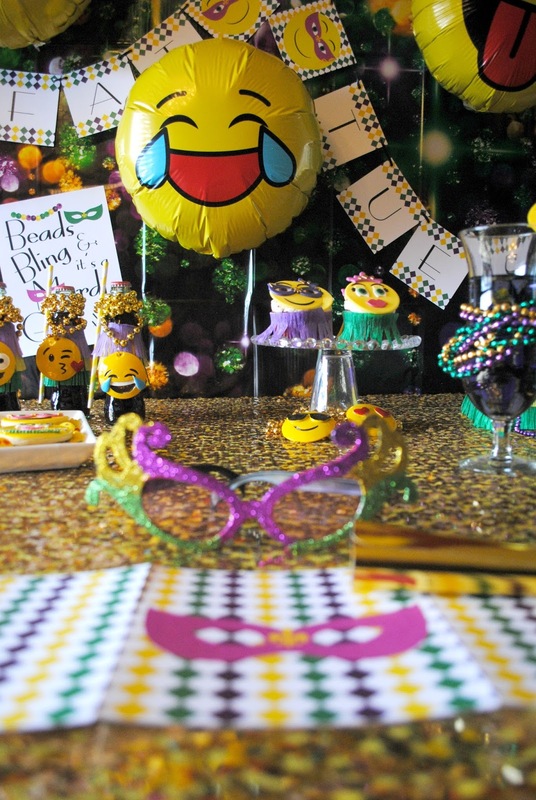 No way could my guests say no to this invitation. 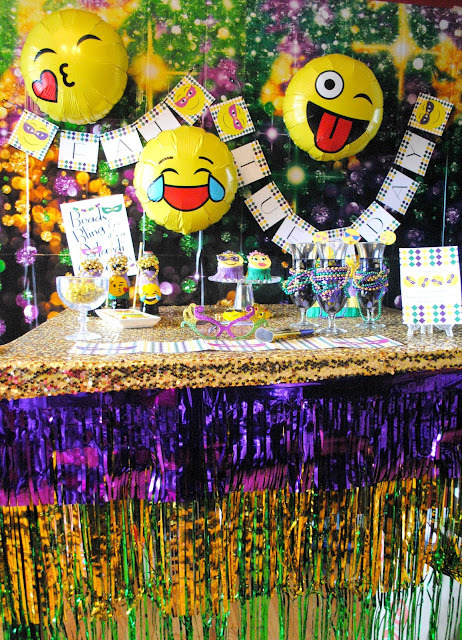 Hey hey Fizzy Friends, welcome to my emojinal Mardi Gras party! I'm so glad you could make it. 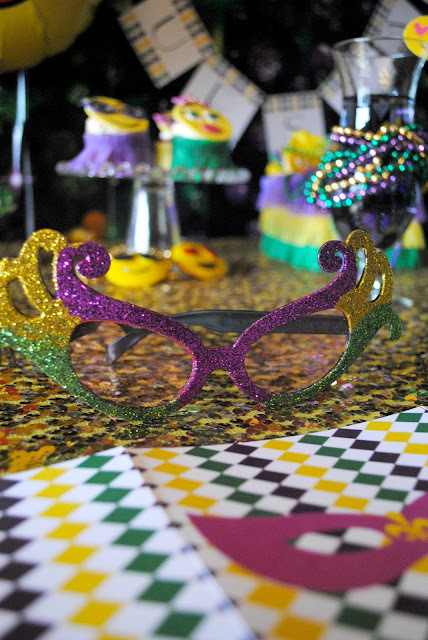 Come on in and get ready to have some fun. So what sparked this idea of combining Mardi Gras and emoji's? I saw emoji Mardi Gras beads on Mardi Gras Outlet and the party just POPPED into my head. I'm loving the look! Don't you? Be sure to come back by for more information about how I put this party together and close ups of the great desserts on the table. This came out so fun!!! I'm super excited to be part of it! 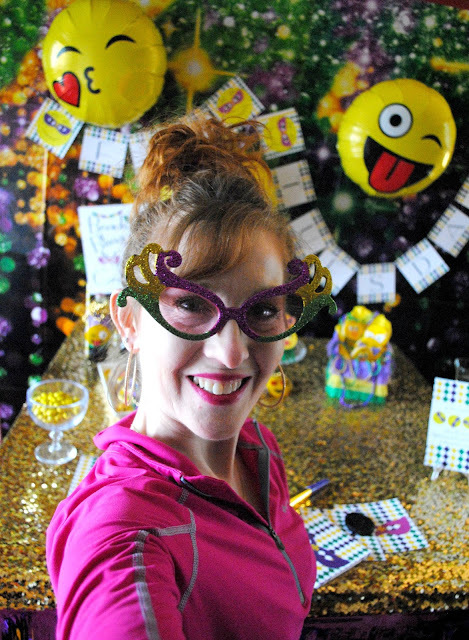 Thanks so much Fizzy Party!! Thank you! I had a lot of fun with this party. 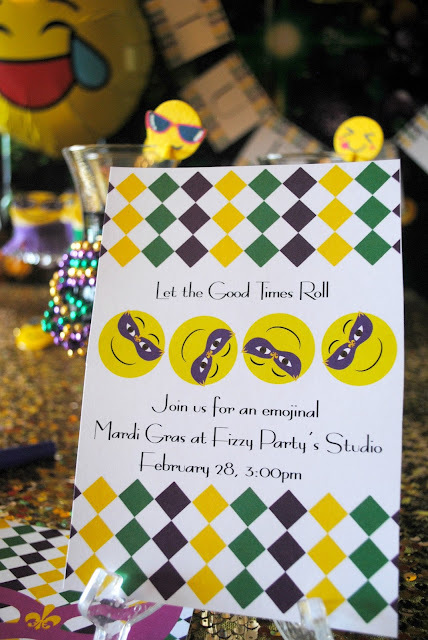 Thank you for creating the printables for this :) They are perfect.